Once a month this summer (and hopefully beyond), this blog will host a blog carnival: Our Life on Wheels. Each month fulltime travelers will be joining together to share on a variety of topics. June 2012 :: "A Day in the Life Of...". Post is live, start reading and linking up! ---June Participant Details--- The post can cover your family doing ordinary and/or extraordinary things over an 8-48 hour time frame. The format is totally open, meaning you can use pictures, words, and/or any other variety of media to offer your readers a small window into your daily life. (Scroll down for more details on how to participate in the Our Life On Wheels :: Blog Carnival) Will be accepting links until Sunday, June 10. July 2012 :: "RV Must Haves" What are RV must haves? You can tell us about features on your RV, mods you've completed or that handy dandy kitchen utensil that every RVer must have. The sky is the limit. But we all what to know what you couldn't live without on the road. --Please have your post ready to link up by Friday, July 6. Check out the guidelines for Our Life On Wheels :: Blog Carnival if this will be your first time participating or if you have any questions. 1. What is the Our Life On Wheels :: Blog Carnival? My goal is to run a series of blog posts that connect all fulltime travelers and our various ways of doing things, as well as giving fellow travelers, dreamers, family and friends answers to their most common questions. 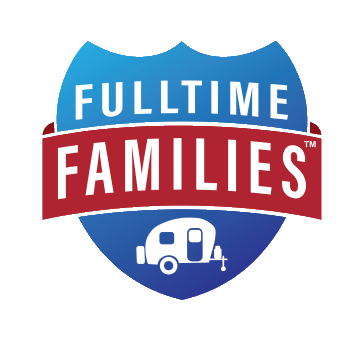 Each month we will be writing on a different topic pertaining to fulltime traveling. Details for upcoming carnivals will be posted here and at the bottom of the previous months blog carnival post. 2. What do I need to do to participate? --Check out what the current topic is and start planning your post. If you already have a post that fits the topic in the archives of your blog feel free to use it. --On the day the current months blog carnival goes live, visit We Choose This Life and link up. --The blog carnival will be the my top post for the entire week of the carnival, links will be welcomed during this time, but the sooner you link up the more that will see your post. You can be in any stage of fulltime traveling (from dreaming to settling back into a sticks & bricks home) as long as your post fits the monthly criteria. 4. Confused? Comments? Questions? Topic Ideas? Please do not left confusion or questions deter your from participating. Also, I am welcoming to topic ideas and other comments. Email me.